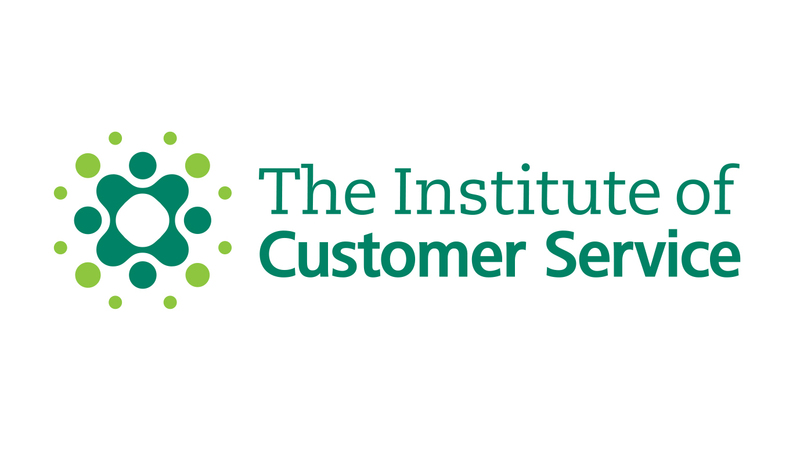 The Institute of Customer service is an independent, professional membership body that champions and promotes the role customer service plays in tangibly improving customer experience, and therefore the business performance of some of the UK’s most forward thinking businesses and organisations. 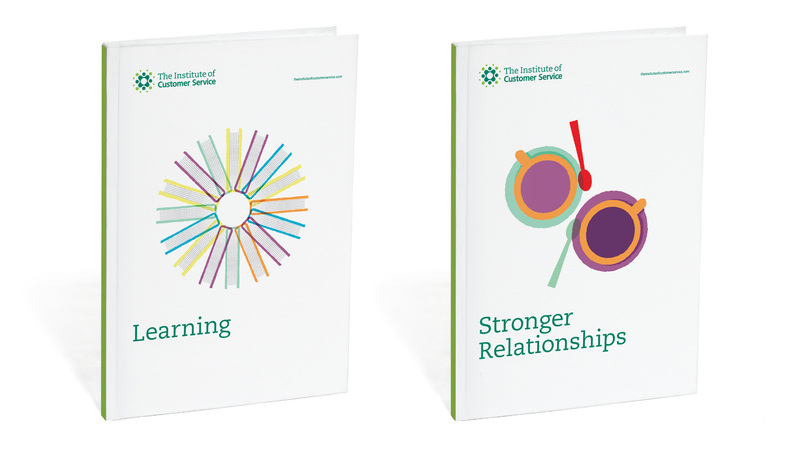 As a growing organisation, the The Institute’s management team felt a need to refresh the brand image and story, to reflect The Institute’s unique dynamic, energetic character, and to convey the role it plays as an enabler, facilitator and champion of best practice. 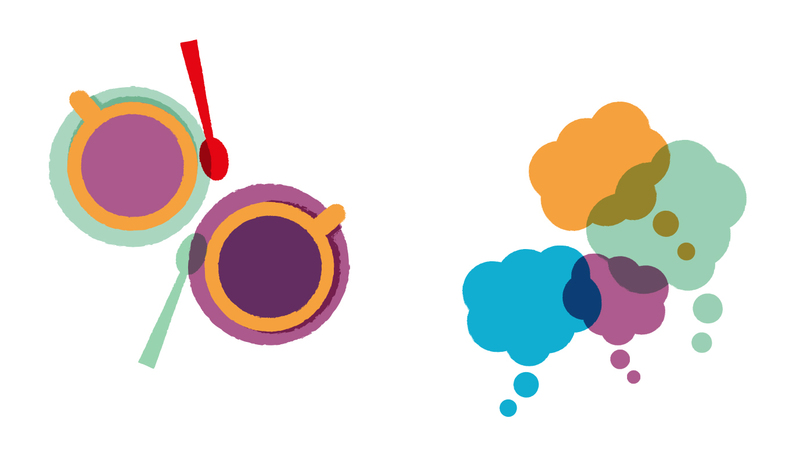 Identica ran a programme of customer research, designed to explore how current members felt about the organisation. It emerged that although the current identity had served The Institute well, it did little to tell the its story clearly. Furthermore, the photographic style was becoming difficult to manage, and sometimes confused rather than supported The Institute’s messaging. 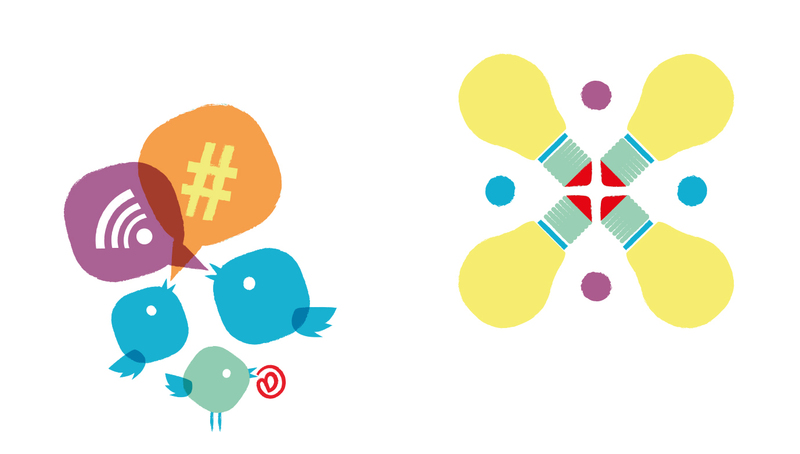 A fresh new approach to the brand mark was created. It features two contrasting typefaces to connote both authority and modernity, and to flag the research and skills improvement sides to The Institute’s operation. The new brand symbol portrays the central role of The Institute in enabling, facilitating and celebrating progress towards high standards of customer service. The recognisable green colour equity was maintained, but a fresh green was added to modernise and re-vitalise the brand. 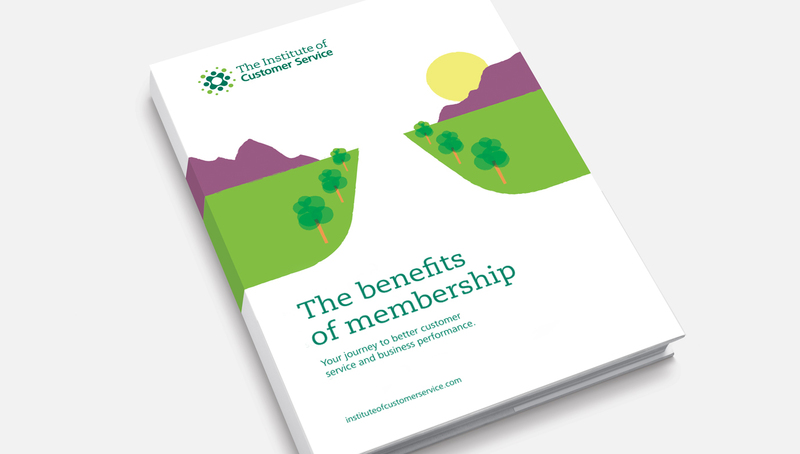 A new bright and engaging illustration style was created for key brand collateral, including The Institute’s web presence, enabling a more flexible approach to the previous purely photographic solution. The illustrations challenge the viewer to take a fresh perspective, further underlining the role of The Institute within industry. 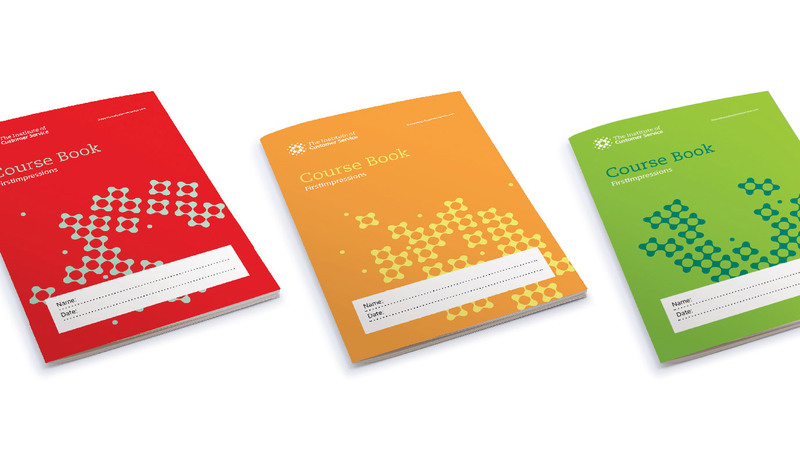 The extended brighter colour palette enables greater visual interest to be injected into potentially flat looking text heavy documents that a such as course workbooks. 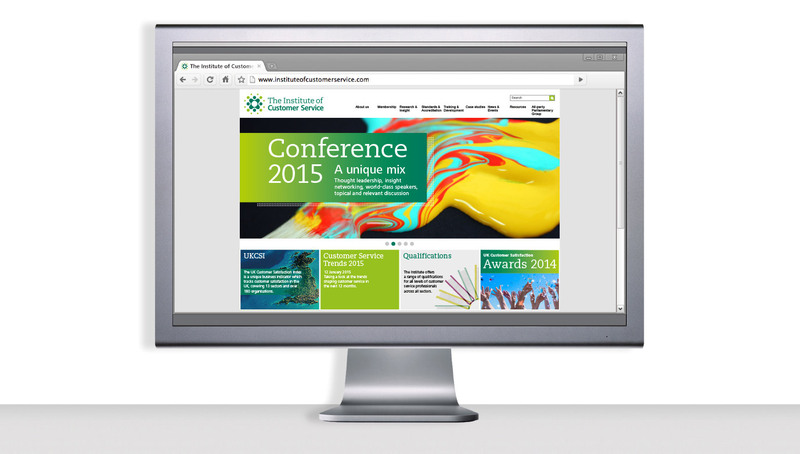 The new brand identity has been well received universally, not only internally at The Institute but also amongst its members and stakeholders and its wide and impressive customer base. We look forward to seeing The Institute continuing to expand its influence in Europe and beyond.